We spend a good portion of the warmer months doing up our gardens so that we can enjoy the weather outside. However, when the temperature drops, so do our commitments to our gardens. But why should it? There are so many ways in which you can enjoy your garden in the winter, just because you can’t sunbathe in it doesn’t mean that it has lost its appeal or use. With the nights drawing in, why not use fairy lights and solar powered spotlights to add a bit of magic to your garden. You might not want to go and sit out there, but enjoying the view from inside is still a treat for the eyes. Using lights like this can be a year-round thing, so no need to pack them away and put them back out every few months. Now, this is something you’ll enjoy regardless of the weather. Get it on and warmed up, then quick foot it into the cloud of warm steam and hot, relaxing water. You’ll feel like you’re up in the Alps while you sit in your warm bubble looking out over your wonderfully lit garden. Cheap hot tubs are easy to find and can be installed quickly throughout the year. During the summer you probably filled your garden with BBQs, family dinners, your children and their friends, and you can do the same in the winter. Well, maybe not the BBQ. Although cooking an indoor BBQ for your bonfire night fireworks, Halloween party, Christmas Eve do, or New Years Eve party is definitely on the table. You might have to wrap up warm to enter your own back garden, but fireworks and sparklers make it all worth it. Make sure to check the area for hibernating animals before you start setting rockets off. And if you find some, relocate your fireworks, not the animal. 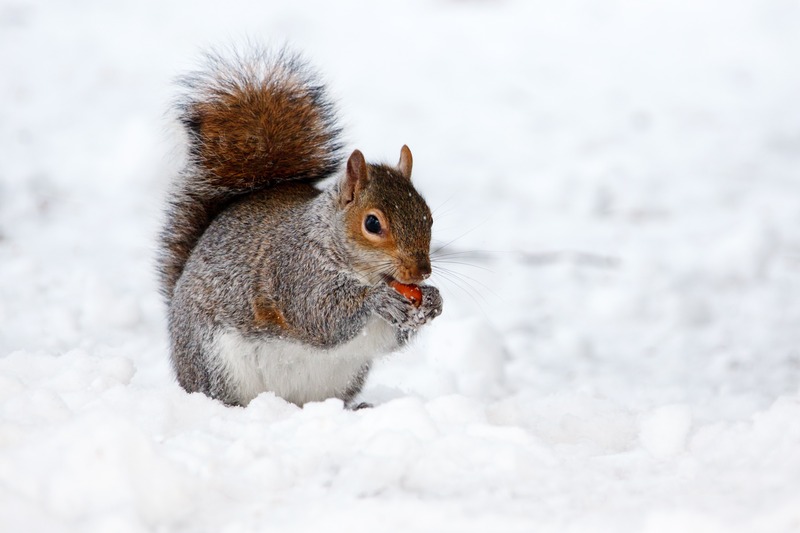 While on the topic of hibernating animals, your garden can become a haven for animals over the winter. You can simply enjoy your garden by knowing that it is providing a safe home for so many through the winter. Frogs, mice, rabbits and hedgehogs are common hibernating animals through the colder months. You can help them by letting your grass grow, providing warm nests for them, placing hedgehog homes in the bushes in your garden, and laying out appropriate food around the time they will be venturing back out. In you have a pond, make sure that the sides are level or have a slight slope so that any critters who fell in while looking for a drink can easily climb back out. Birds who don’t migrate during the winter, and non-hibernating animals like squirrels and some types of bat, have a very limited food source during winter, so lay out some appropriate food for them.